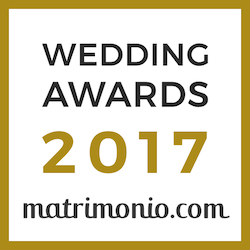 The Castello di Oviglio Relais is located in the centre of a typical Piedmont village, inhabited by hard-working and kind people, who work in agriculture and farming. Oviglio is the last municipality crossed by the Belbo stream that gives its name to one of the most important wine regions in the world. In this land, for centuries, the local gentry have dedicated their lives to the production of wines of excellence, giving rise to internationally renowned wineries, for example Gancia, Contratto, Bersano. Among these splendid landscapes and enchanting villages, top-quality wines are celebrated with the production of aromatic and sparkling wines with a classic method. The Belbo Valley introduces you the Langhe, another unique land which is the home to important vineyards, food traditions and catering businesses. Thanks to its perfect location, the Castello di Oviglio castle is the ideal place to discover local food traditions, natural and cultural resources of both Piedmont and neighbouring Lombardy and Liguria regions. 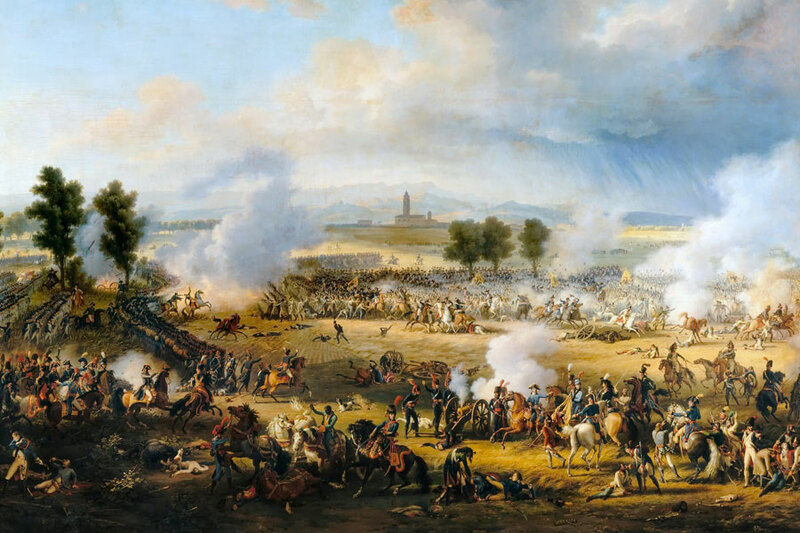 This town is famous for one of Napoleon’s most interesting victories over the Austrian army, a battle which took place on June 14, 1800. On the very battlefield, Villa Castaldi was built to host the museum dedicated to the battle, where many documents, weapons and objects from those times can be admired., In the garden in front of the Villa there is a statue of Napoleon Bonaparte, the 1st consul. A few kilometres from Spinetta Marengo. 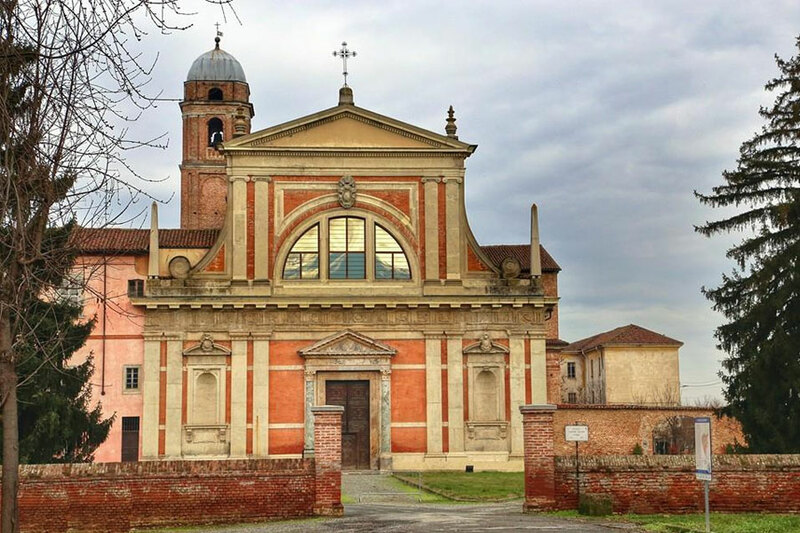 This village is the birthplace of Pope Pius V who built in 1566 the superb religious complex of Santa Croce, consisting of an admirably decorated church (with the remarkable canvases painted by Vasari) and a convent. 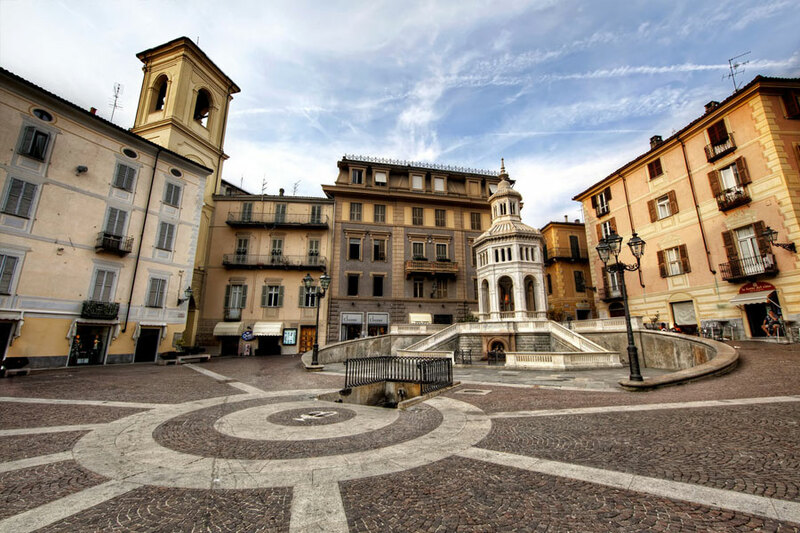 This town was built on the right bank of the river Po, at the foot of the first hill of the Monferrato area, in the middle of a famous wine-making region, and is one of the most interesting cities of Piedmont for is artistic significance. 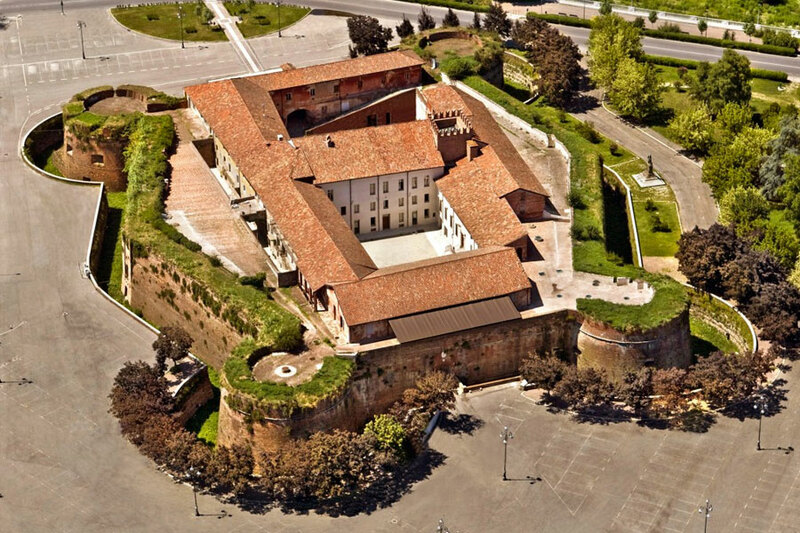 In the historic centre of the city you can find wonderful examples of Gothic, Romanesque and Medieval style and many buildings of the 17th century, ancient military stronghold of the Marches of the Monferrato. We recommend a visit to the cathedral, the Baroque church of S. Filippo Neri, the Synagogue which houses an important Jewish museum, the palace of Anna d’Alencon and the Civic Tower. 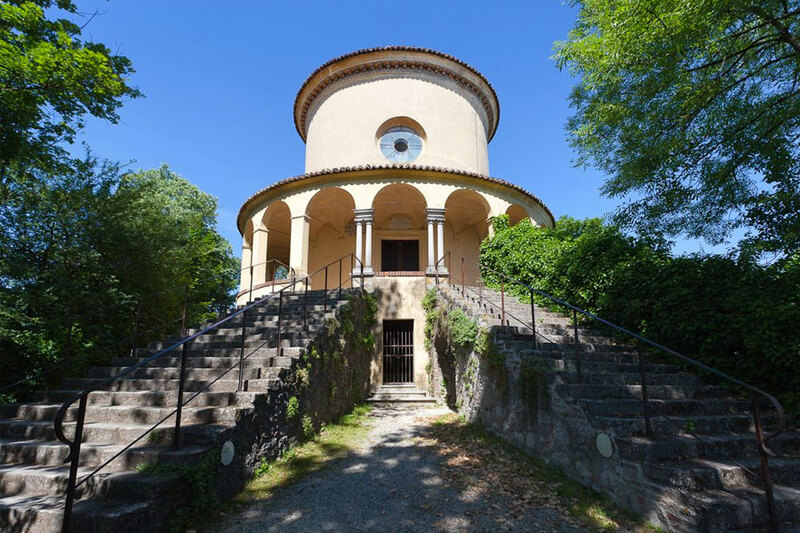 Located on the heights of the Monferrato, this is a very suggestive and sacred path of great historical, artistic and cultural value in the heart of a protected natural park: a walk through the forests along a path that includes a chain of 23 chapels and leading to the Shrine. The Chapels are frescoed or contain sculptures that illustrate the life of the Blessed Virgin and Jesus Christ. A true jewel, located at the foot of the Alps, s surrounded by elegant villas form the 19th century. 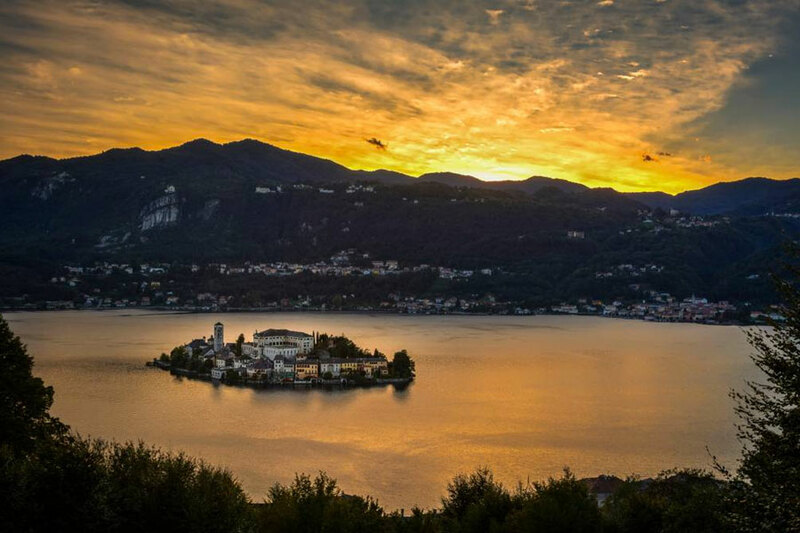 In the centre of the lake rises the Island of San Giulio, which houses a beautiful basilica whose foundation dates back to the IV century. 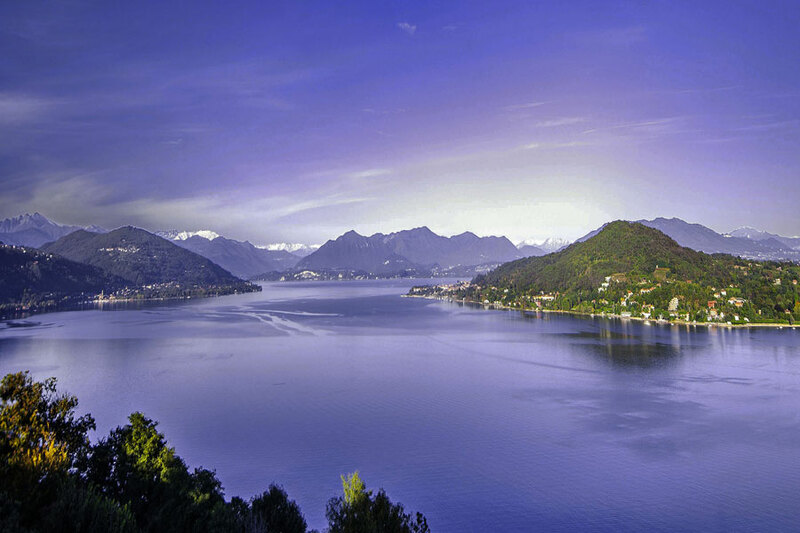 One of the most beautiful lakes in Italy, between the mountains and up to the Swiss Alps. At the center of the lake are the famous Borromee islands, including Isola Bella, where you will find the Borromeo Palace (1632) with its terraced gardens, fountains and statues, the “Isola Madre”, the Mother Island, almost completely transformed into a botanical garden, and the Fishermen’s Island with its colourful fishing village. A city of ancient history, included in the UNESCO world heritage, and the capital of the Piedmont Region. It is one of the largest university, artistic, tourist, scientific and cultural centres in Italy. Embellished by the different ages it has lived through, the city gathers excellences of different styles and conceptions, from romanesque to medieval, from renaissance to baroque, from neoclassical to liberty. There are also many important buildings which belonged to the Savoia family, like the Royal Palace, and the Madama and Carignano Palaces. 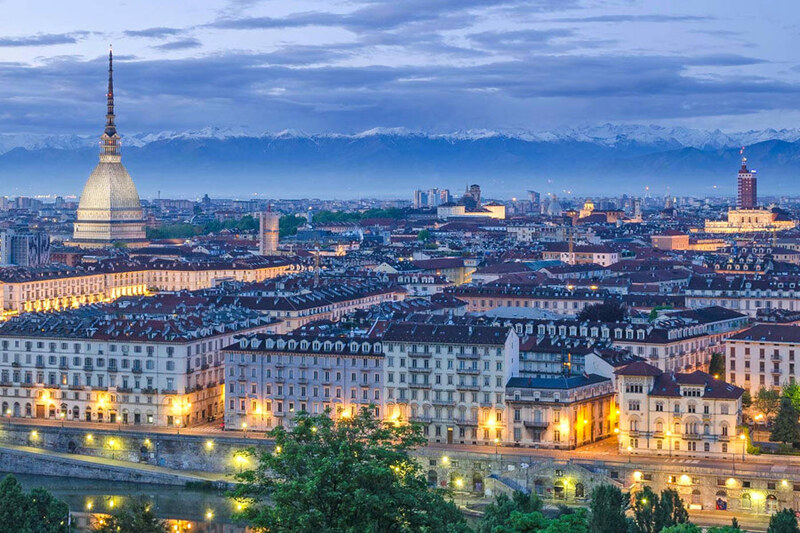 It is bathed by the river Po that separates the historic centre from the aristocratic skyline of Turin’s hills. Considered the economic capital of Italy, this city undoubtedly also excels in artistic wealth. The symbol of the city is the cathedral of Santa Maria Nascente, better known as the Duomo of Milan, located in the square of the same name, the core of the city’s economic and cultural life. 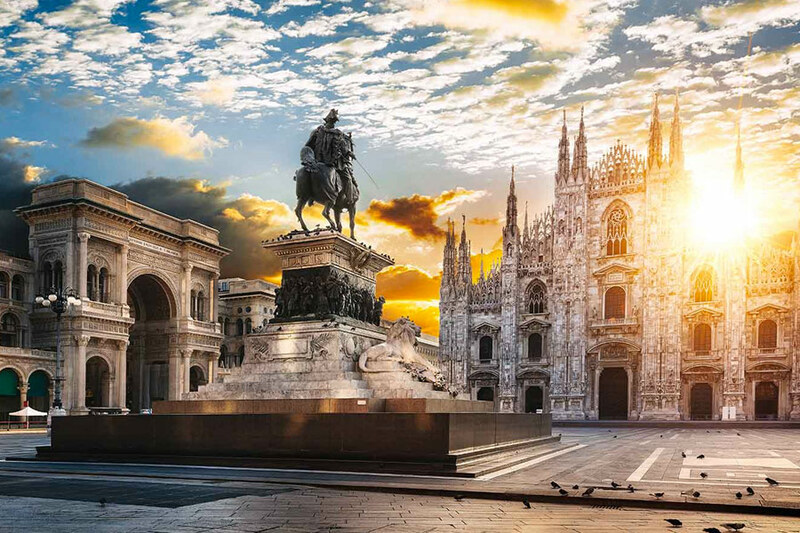 The Duomo id connected with the famous eighteenth-century theatre Teatro alla Scala and to the square of the same name by the equally famous Vittorio Emanuele II gallery, a passage covered with iron and glass structures in eclectic style. From Piazza del Duomo, along the busy and popular Via Dante, you reach the another representative landmark of Milan, the Sforzesco Castle. 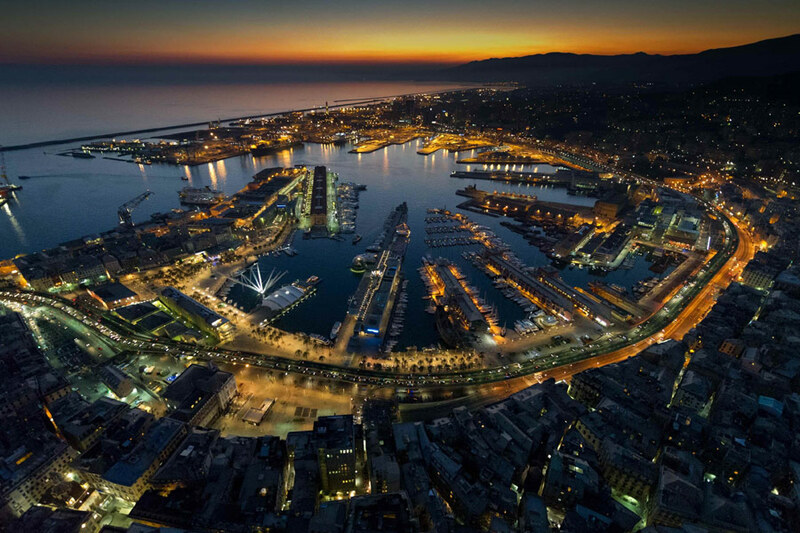 Overlooking the Ligurian Sea, the city of Genoa dominates the homonymous gulf, whose maritime and trade traditions are tightly connected to the city. Its port is the largest Italian port in surface area. For over eight centuries the capital of the homonymous republic, Genoa was quoted with the names of “La Superba” (The Superb) and “La Dominante” (The Dominant). Its cultural richness in history, art, literature, music and cuisine has enabled it to become the European Capital of Culture in 2004. Praised by poets and famous characters of all nationalities such as Oscar Wilde, Gustave Flaubert, George Gordon Byron, Genoa was described by Francesco Petrarca as “regal, lying on an alpine hill, superb for its men and walls”. Its views earned it the title of “The Lady of the Sea“. Countless great places are waiting for you!